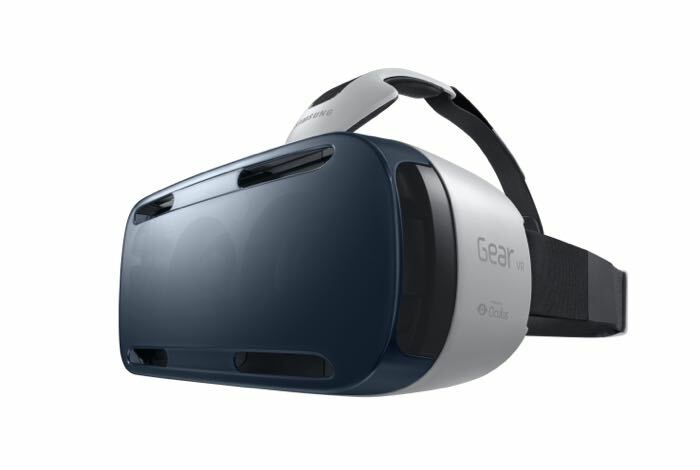 The original Samsung Gear VR headset was compatible with the Galaxy Note 4 and now Samsung has announced a new version of the device which works with the Galaxy S6 and Galaxy S6 Edge. The new device is called the Samsung Gear VR Innovator Edition and it has been designed to be used with the Galaxy S6 and Galaxy S6 Edge handsets. Samsung Electronics Co., Ltd. continues its leadership in wearable technology and mobile virtual reality with its latest Samsung Gear VR Innovator Edition, fully optimized and compatible with Samsung Galaxy S6 and S6 edge, its next generation smartphone. The Samsung Gear VR Innovator Edition for Galaxy S6, powered by Oculus, gives more users the opportunity to enjoy Samsung’s unrivaled, fully immersive and cinematic virtual reality experience, with improved viewing as well as a more comfortable design. The new Samsung Gear VR Innovator Edition has been re-designed with a number of changes include a 15 percent reduction in size which Samsung says makes the device more comfortable to wear. You an find out more information about the new Samsung virtual reality headset at the link below as yet there are no details on pricing or a launch date.